Hey everyone! It’s my first post of 2017 over at the Heart Desires Blog, and I am featuring a combo of lovely products available in the store. You know you need some holiday thank yous! Stop on by for some inspiration! See you there! After a very un-calm week, I was keeping so calm at the end of each day that I never got around to this post. I was definately on island time in the creation, photographing, editing and posting of these cards. All in all, about 2 1/2 weeks now. Our mini heat wave here in Seattle is partly to blame– a 90 degree studio and exhaustion from both the heat and teaching didn’t really create the prime conditions. I took to a kayak last night because I was too tired to trek to the outdoor pool and swim laps, but needed the relief of water. It was a glorious night and there’s nothing better than being on, in or around the water at sunset. Fires in the Olympic National Park are creating paradoxically stunning sunsets–neon pink and purple striations. But I am not ready for their earlier and earlier arrival. And today, it’s windy, grey, and COLD– something I am also not relishing. So let’s pretend that we are in the tropics, shall we? I started with the ombre palm background using the set Say Aloha by Kaisercraft available at The Heart Desires store, stamping in three different green pigment inks. I stamped the flamingo from the same set, wet embossed with some sparkle powder, and fussy cut, then set to layering. The hibiscus is from CottageCutz and is cut from hand-colored alcohol-inked glossy paper. Note the ombre effect on the flower/leaves. Love that Little B pineapple! I cut my sentiment banner and stamped with Delicata Gold and heat embossed. The gold palm is a new die from Savvy Stamps. Love the sheen of the glossy paper and embossed inks. 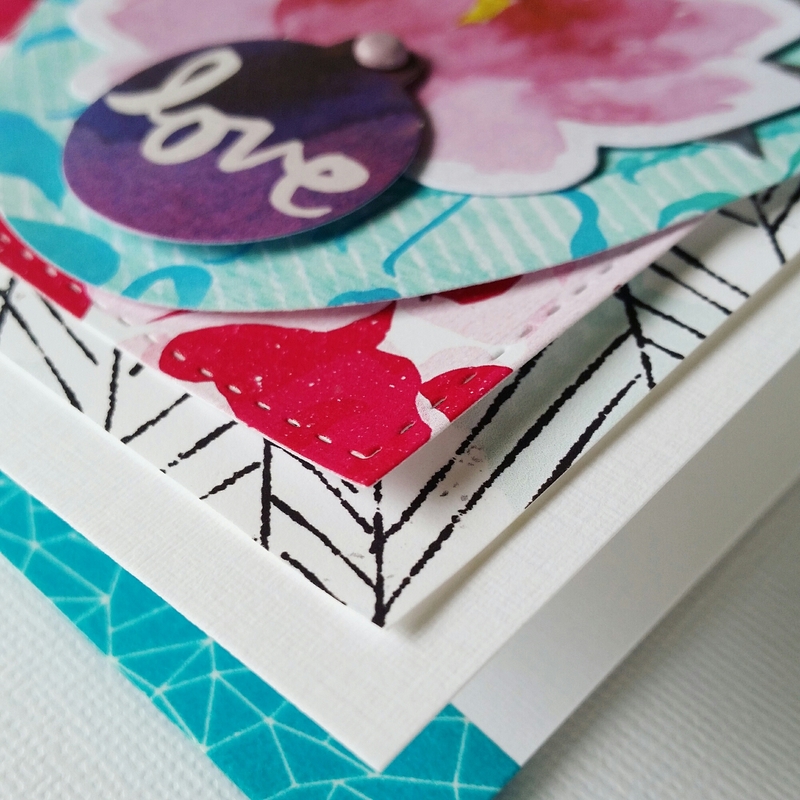 Everything was layered on 110# Wood embossed paper and the inside finished with one of my most favorite washis. The banner needed more of a focal point so the triangle enamel piece pulled it together and echoes the washi. It also is the same color as my glossy paper. The next card is a variation on the theme. This time I used more of the ferns and fronds from Say Aloha and ones from Hero Arts Stamp Your Own Plant both available at The Heart Desires. Again, I chose a selection of green pigment inks. Tonya has some of the lovely Hero Arts Hybrid inks in a variety of greens–Moss, Green Apple, Pine–that would work well. The hibiscus and palm dies make an appearance again– this time in coral card stock and wood paper respectively. A few Savvy and Julie Ebersole flowers were cut from stock and glossy alcohol papers and layered in. Everything was placed upon the Concord and 9th’s Tree Ring, stamped in Hero Arts Unicorn White and heat embossed on vellum. The wood paper panel is from the Bloom set. Ink, stamps, and paper are all waiting for you at The Heart Desires as well! The inside is finished with ombre-metallic washi. You can see how I layered my gold sentiment die with some glitter foam. Now if these colors and designs are reminding you of something, it should be our current challenge! You have 5 more days to play along, so I hope you have found some inspiration here today! Keep palm and have a creative weekend everyone! On a morning like this when the light-filled studio is just below baking and the air, thin and cool, teases relief through a cracked window, thoughts turn reluctantly to December, though I know it looms. Thus, by this point in the summer, the ease and possibility of June and July give way to urgency. I register the changing light of August and begin to count. How many weeks until the new school year? How many remaining days at the pool? How many sunset hours left to kayak? And of course, how many holiday cards left to make? This last question is laughable because I rarely make cards or seasonal gifts for any holiday or birthday during the off-months– and the ones I do complete in advance struggle to find their way into the mail or hands of their recipient (apologies to family, birthday buddies, boyfriend…)! Case in point: all tardy 2015/2016 holiday, birthday, mother’s day, father’s day, get-well gifts were meant to be part of a Christmas in July celebration I’d cooked up, but it’s now August. I am often too busy sucking the marrow of each moment (or worrying that I’m not making the most of that moment) to think about and plan for some elusive future. It’s a way of being that certainly has its benefits, but also some costly downsides. And being a dopamine-driven creative short on time and long on distraction, I know I’m not alone in this! 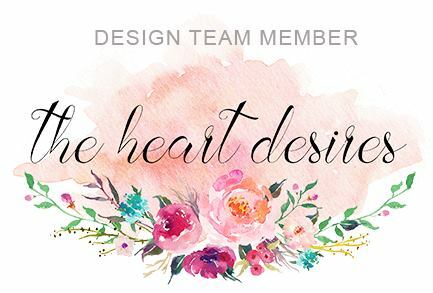 The designs by Savvy Stamps, Julie Ebersole and Neat and Tangled all complement one another so well, and the ones featured here are some of my favorites– if you follow my work, you know they are in heavy rotation!! Nearly all products used on this card, which is being submitted to their Pinsights Challenge, can be found at Ellen Hutson. So first the tree ring. I’d been plotting its possibilities since the stamp was released by Concord and 9th last year– and it takes center stage here with bold, black embossed vellum, fussy cut, and then layered with an array of Savvy Stamps and Essentials by Ellen dies. My second favorite element? That Brushstroke Joy sentiment cut from Essentials by Ellen 110# wood embossed paper and layered with pink mylar! Look at that iridescence! The Savvy Woodland Branch is cut from cherry woodgrain paper; the Wild Garden berry sprigs from Essentials by Ellen #110 wood embossed paper, and then embellished with icicle Stickles. This thick turquoise glitter paper from American Crafts is probably my favorite glitter stock ever (it comes in gold and garnet red, too), and it works perfectly for floral die cuts like these, also from Wild Garden; the large flower petals are partially adhered and popped up for interest. Savvy Stamps Flower Blossom #2 is one of my favorites of the set, and I love the flow that this leafy sprig creates. It has been cut from Jen Hadfield gold stock. Finally, Neat and Tangled’s Hexstar cover die cut from Jen Hadfield DIY gold woodgrain paper is slightly manipulated and then layered over EBY 110# woodgrain paper and dotted paper from Maggie Holmes Confetti line. One last look at the dimension created by the layers. Even if the holidays, or traditional holiday colors, or merely the thought of winter make you want run and bury your head in a scorching mound of sand, I hope my non-traditional take on the holiday card coaxes you into creating some of your own before the stress of the season bears down! And with that, I’m off to the pool!